He’s central to DC’s Dark Nights: Metal event — and hopefully the Winged Warrior will soar again. 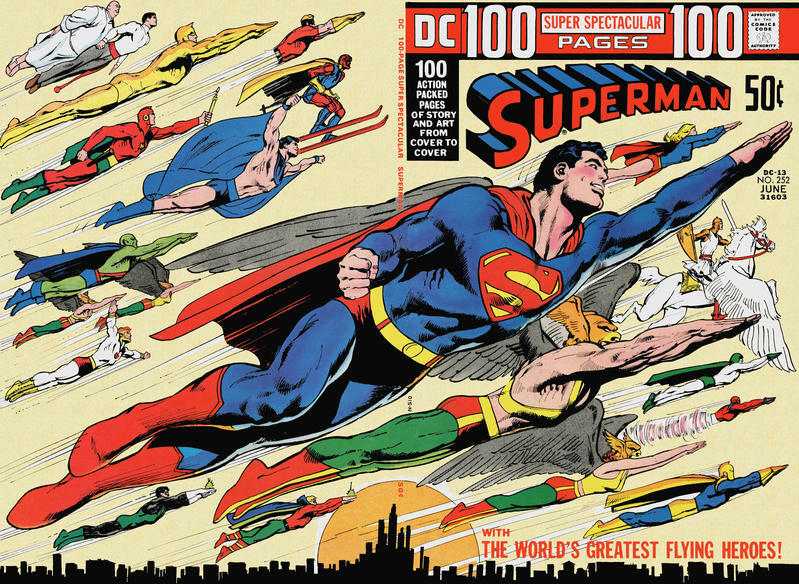 PLUS: 13 of the Greatest Hawkman Covers Ever. Dark Nights: Metal #1 comes out this week (8/16 to be precise) — launching in earnest one of two seismic miniseries DC’s publishing this year, with Doomsday Clock coming this fall. I’ve read the issue and it definitely has wide-ranging implications for the DC Universe. And while Batman and the Justice League are the main players, the central character, in a fashion, is one who’s effectively off-screen the whole time: Hawkman. What happened to Hall, back in his archaeologist persona, is a crucial piece of the Metal puzzle. 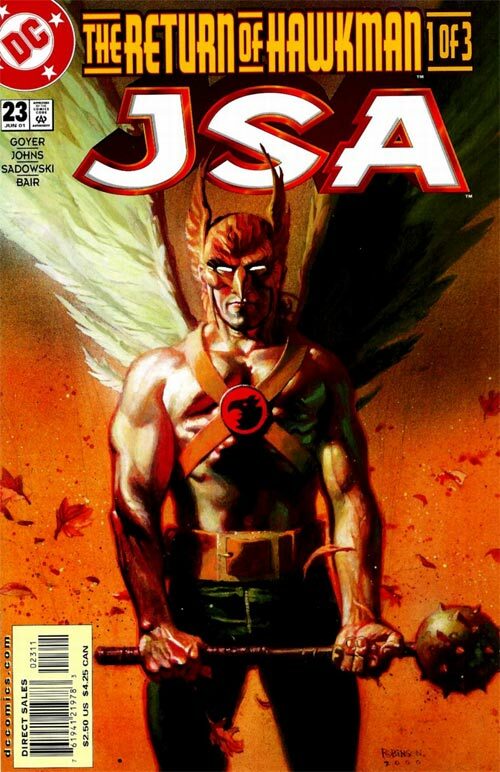 Now, modern comics being what they are, we know Hawkman will be found, in the appropriately titled tie-in one-shot Hawkman Found, come this December by the all-star team of Jeff Lemire, Bryan Hitch and Kevin Nowlan. But even before that was announced, I was of the mind that big things were in store for Hawkman come 2018. He’s a character with a lengthy, but sometimes maligned history, who needs an A-List creative team to bring him back to the fore, much like Geoff Johns and Ivan Reis revived Aquaman six years ago — a successful relaunch that continues to this day. 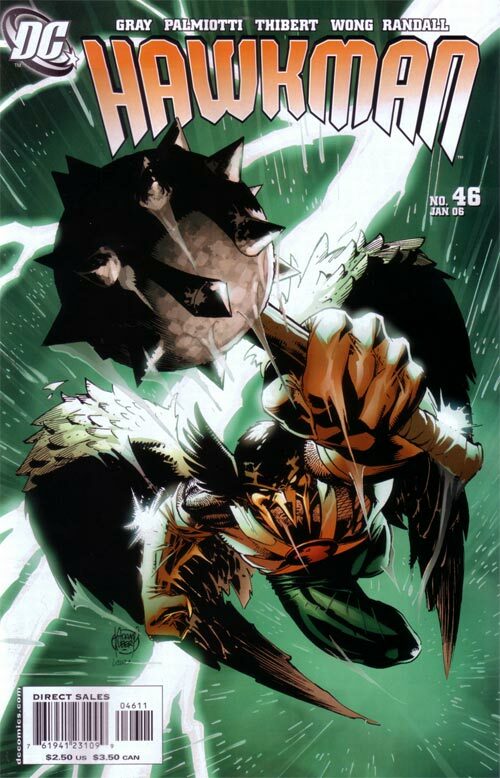 But some fans don’t need to be reminded of how cool Hawkman is. Take Tim Board, who is the internet’s — and therefore probably, the world’s — biggest, most knowledgeable Hawkman aficionado. He runs the vibrant Hawkworld Facebook group, which you should join here, as well as an active Twitter feed, which you should follow here. Tim wrote a piece recently that laid out exactly why Hawkman matters so much to him. I found it genuinely moving because his points are universal. When he says Hawkman, you’ll think of your favorite character. Thing is, though, you’ll be struck by how much he loves this second-tier superhero in particular. Tim readily agreed to allow me to publish his piece here. He even selected the 13 superb covers you see spread out across this post. Sometimes I’m asked why I spend so much time on something like Hawkman, a comic-book character some would call “second-tier.” Why bother with a character that doesn’t have its own comic, TV show or movie? Why bother with a character that has been killed off in practically every storyline during the past decade? I’m just like everyone else. I work a full-time job. I have a wife and two kids. I have my own share of physical problems just like anyone else. There are good times and there are bad times. Sometimes I feel tired, dead, purposeless and empty. I have experienced death in my family, humiliation, helplessness, and despair at different times during my life. Sometimes it’s just a struggle to get up in the morning and make it through the day. But I do try to think of the positives when I can and be thankful for what I have. I’m thankful for my wife who loves me despite all my flaws. I’m thankful for my two kids who give me joy and challenges daily. I’m thankful I have a roof over my head. I’m thankful that someone thought enough of me to give me a job and actually pay me for it. Having a family and a job is never easy, but I’m thankful for the sense of belonging and achievement that it gives me. But sometimes I need a break. I need a place where I can set all that aside just for a bit and enjoy something I call my own. If I stayed in that place all the time, I would be a failure as a husband, father and friend. But sometimes I just need to close the door, get into my personal place and recharge. And one of the places I do that is Hawkman. This half-naked, mace-swinging, sometimes-reincarnated-Egyptian-sometimes-alien, fictional, “second-tier,” often misused or ignored character has made my heart beat faster ever since I first saw Neal Adams’ picture of him as a 13-year-old boy. 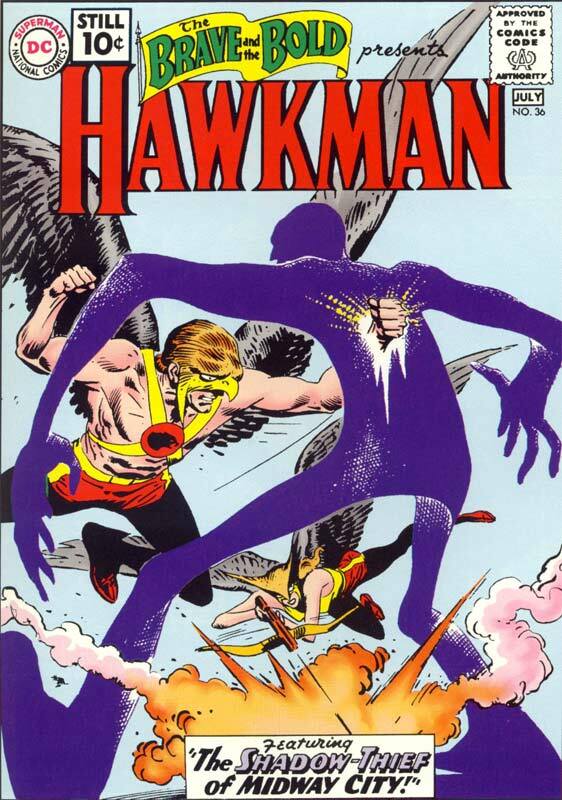 The character has never ceased to fascinate me: What would it be like to be Hawkman? What would it be like to fly like that? What would it be like to swing a mace like that? What would it be like to fly alongside Superman and Green Lantern? What would it be like to have a partner like the beautiful Hawkgirl? Ever since I “met” Hawkman, he has given me dreams. 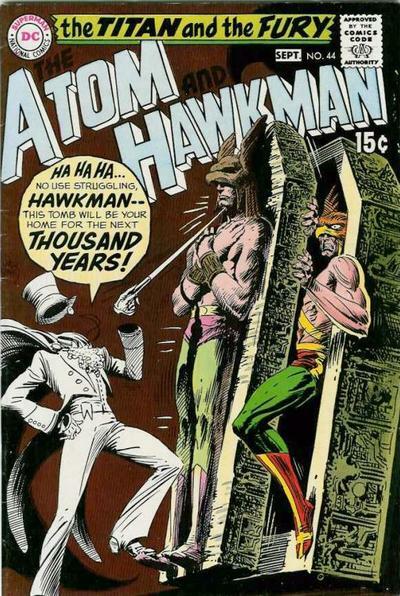 The image of Hawkman and his character in the comics quickens my heartbeat. He invigorates me. It may sound silly and a bit ridiculous but that’s the truth of it. I think every superhero fan can say the same thing. Just for a little while, for a short time when I can, I want to live through the character, to feel that powerful, to have that freedom of flight, to feel that confidence of overcoming all odds, and to have that unwavering conviction of doing what’s right no matter what. When I open up a comic book, I’m not just reading about Hawkman. I AM Hawkman. It probably sounds silly to some people and maybe they’re right. But this winged character makes my life that much more exciting and fun. It gives me something to look forward to. Even if it’s just for a few minutes a day. That’s why I spend so much time on Hawkman. Since I was a boy, I have been flying with Hawkman. And I expect to be flying with him for a long time to come. Thanks for the great article, Dan! 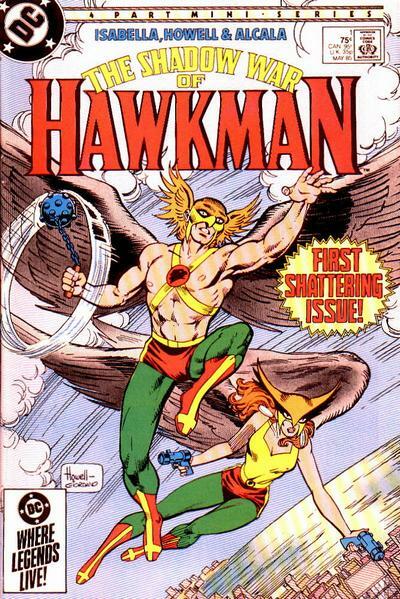 I hardly think of myself as the “most knowledgeable” Hawkfan, but there are a lot of members on our Facebook and Twitter groups who really love the characters of Hawkman and Hawkgirl and know their history inside and out! I always believe that good things are coming for Hawkworld so this new event should be a fun ride! Awesome article for an awesome character, or is that “characters” because you really can’t have Hawkman without Hawkgirl/Hawkwoman. There’s so much potential with these characters whether they are re-incarnated warriors or alien cops, if only they get in the right hands! Thanks for the write up, Dan. 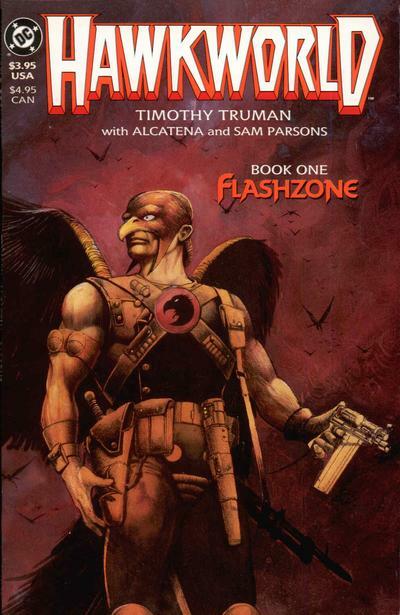 I can’t wait to see Hawkman back in the funny books!! Hawkman is such a cool character. But lets not forget about Hawkgirl. She is a survivor. A pioneer back in the day when there were so few female superheroes. No Murphy Anderson covers? That is a serious injustice. Yeah, that was a tough decision. While Murphy Anderson has never been my favorite Hawkman artist, I probably do deserve 40 lashes with a wet noodle for not including an Anderson cover. 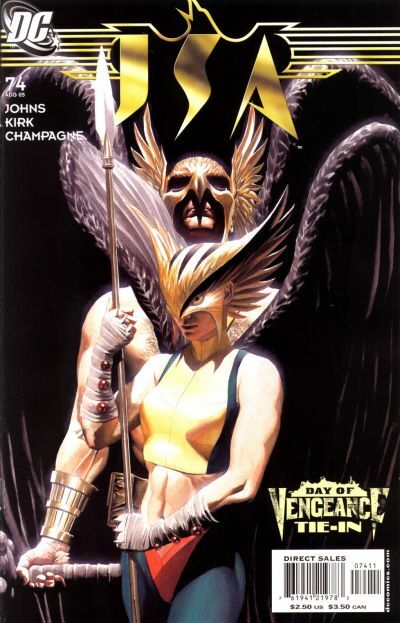 Love Hawkman for me the appeal is a character that has ties to a begone age. His ties to ancient history allows for interesting stories. I’m happy to see one of Richard Howell’s amazing Hawkman covers appearing here. 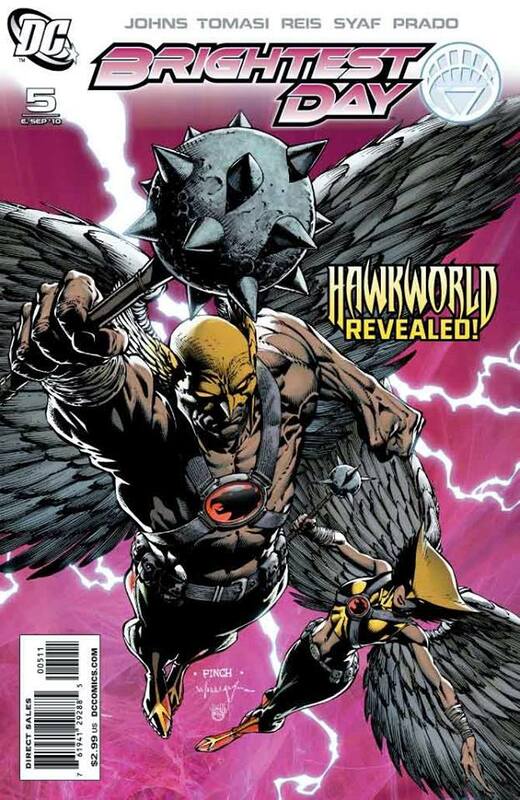 Howell is one of the best, not to mention one of the most underrated, Hawkman artists. I agree with Michael Dunne…Murphy Anderson deserves to be there. 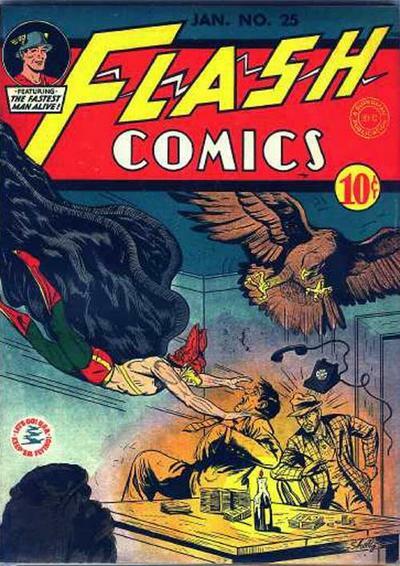 Maybe Dan can make it up to us and just run a 13 best Murphy Anderson Hawkman Covers. 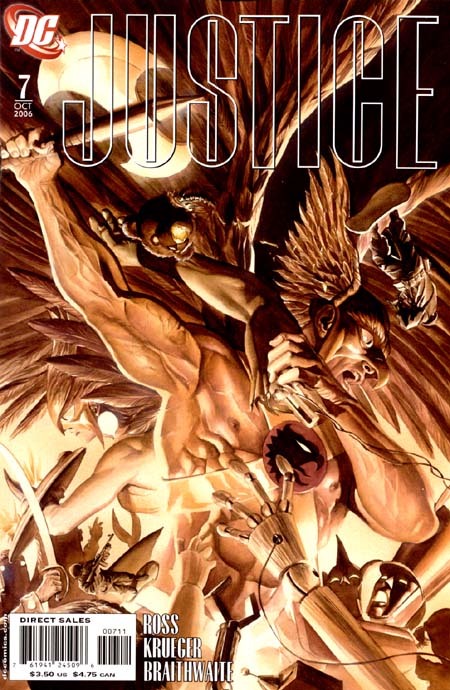 If you include covers he inked featuring Hawkman in other series, it could become a cool listicle! Ed, you were actually reading my mind! 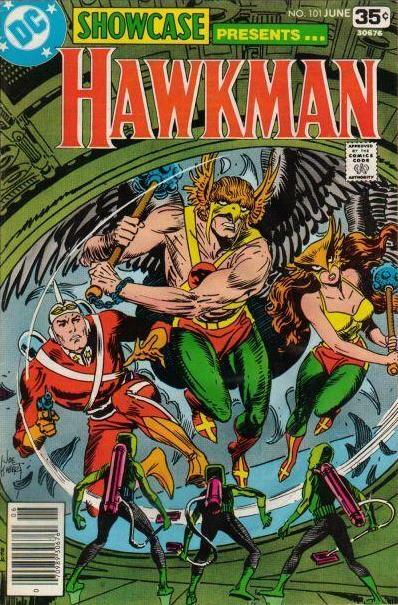 Hawkman has ALWAYS been DC’s most versatile hero… There’s no type of story he doesn’t slip right into. Add in one of DC’s best costumes ever, a great but underrated Rogues Gallery, and a strong narrative arc, and the biggest mystery is why in the Seven Hells the character has been so misused of late. Hawkman is a phenomenal character. The love story of the Hawks is second to none in comics. These two have been disregarded, misused, and abused for far too many years. It’s time that they got the respect they deserve after their long history. They need to be in the hands of someone for whom they will be a genuine passion project. Hawkman becoming the guy who dies has gotten old really fast and It’s a complete waste of a character that has echoed traits that have been considered endearing for such mainstream characters as Mr Spock and Wolverine among others. A couple of years ago there was a pitch for a Hawkman film that claimed to be “part Indiana Jones part Ghost…etc”… I’d enthusiastically shell out my hard earned scratch to see that one multiple times in a theater seat. Maybe now that Joe Mangienello is apparently not playing Deathstroke, he and Jessica Chastain can take on my favorite comics couple. So there I was, on my phone browsing the internet, checking all my social media, when I received a group invite on Facebook. 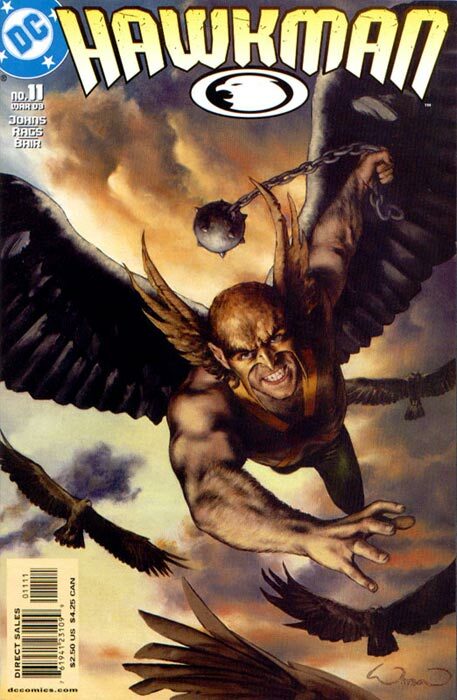 “Hawkworld… what’s that?” I pondered while tapping accept. Believe me when I tell you that I was pleasantly surprised. Hawkman, Hawkwoman, and a group of people who hold them dearly in their hearts is what I found. Up until then, I was only familiar with Hawkgirl from the JL/JLU cartoons. Hawkman was completely unknown to me. Well not anymore! I’ve never read a comic, bought an action figure or statue, but let me tell you that I am a newly reincarnated Hawkfan! So happy Hawkman is going to be a DC focus again. This character deserves SO MUCH MORE than he has gotten from DC over the years. 1940.. He is one of the originals and it’s time DC invest true effort to share this character with the world and make him a household name. It’s a true shame when characters like Antman, Electra, and Guardians of the Galaxy end up with movies before true legendary heroes like the Hawks. I like the direction Metal is going. 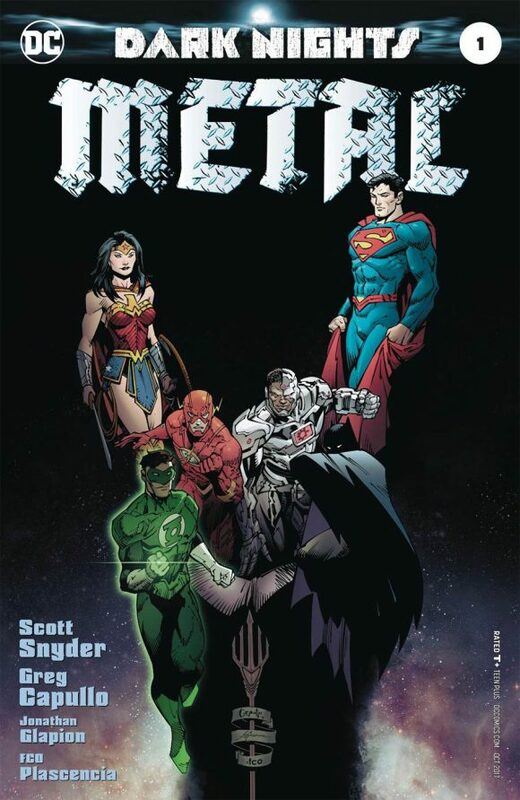 Nth metal is being recognized as a seriously powerful element in the DC universe. One of the most powerful. It always should have been. Its how nth was written. And now people will recognize how powerful Hawkman should have always been if DC had done a better job of aligning the power of nth with the power of the hawks. I’ll admit I was a skeptic at first, but I’m fully on board now. Let’s see where Scott Snyder and Jeff Lemire can take the Hawks!